According to many nutritionists, more people find it difficult to obtain enough zinc in their diet than any other mineral. 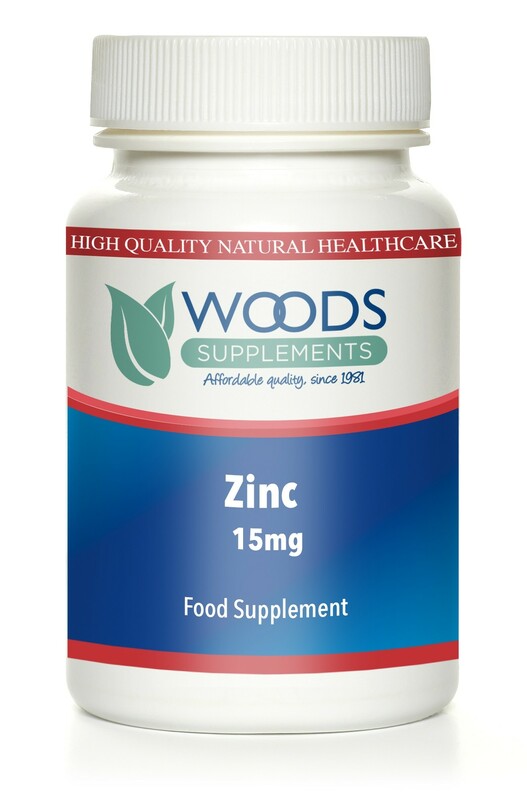 Zinc is well known for its role in growth and tissue repair, and in the immune system. Zinc is particularly important for the healthy function of the reproductive organs and prostate gland and it is one of the most important antioxidants. Zinc is a very popular product with vegetarians, vegans, smokers and the elderly. Zinc Gluconate, Dicalcium Phosphate, Microcrystalline Cellulose, Polyvinyl Pyrrolidone, Magnesium Stearate, Cross-linked Carboxy Methyl Cellulose, Hydroxy Propyl Methyl Cellulose, Color: Titanium Dioxide, Glycerol, Purified Talc. Food supplements must not replace a varied diet. If you are taking prescribed medication or have any medical conditions, please consult your doctor before taking food supplements. Do not exceed the recommended intake. Store below 25°C in a dry place, out of sight and reach of children.